I’ve been thinking about starting a blog for a few years now, but could never find the right moment. 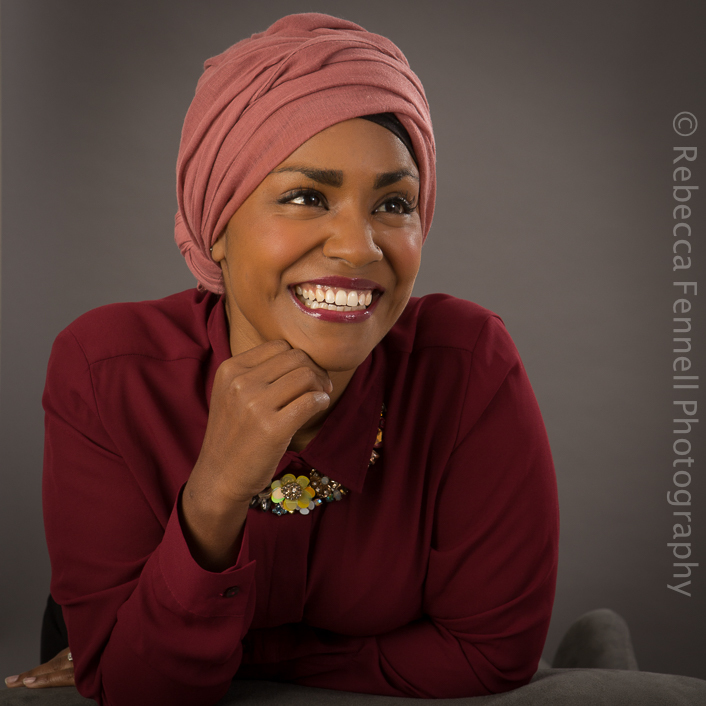 Having been asked to photograph Nadiya Hussain by the lady herself, it seemed the perfect opportunity; a story I simply had to share! 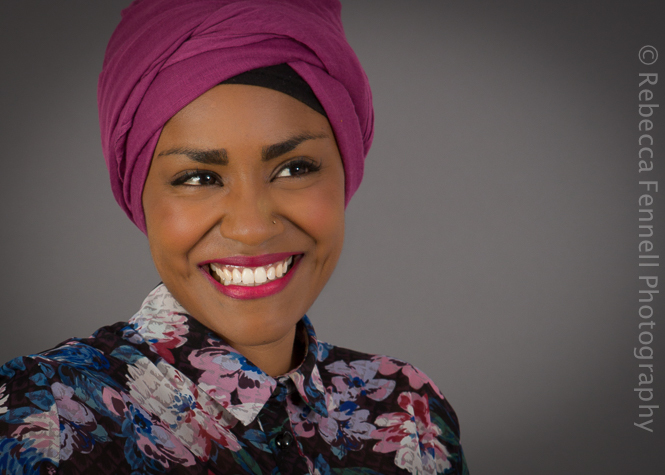 As most of you will know, Nadiya rose to fame when she won The Great British Bake Off in 2015 and since then, she’s been unstoppable. Her determination and energy for life is what you notice most; it’s little wonder she’s become so successful. 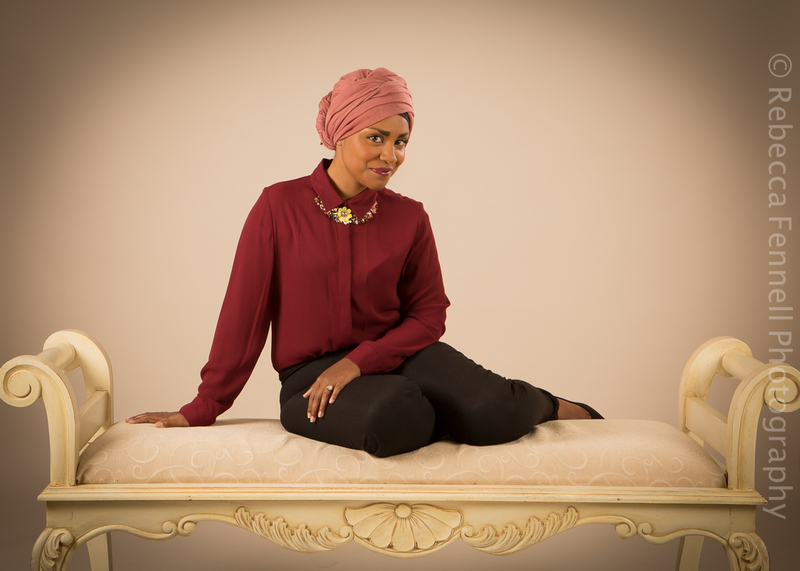 I first met Nadiya whilst working for a client, Champneys Health Spa in Tring. 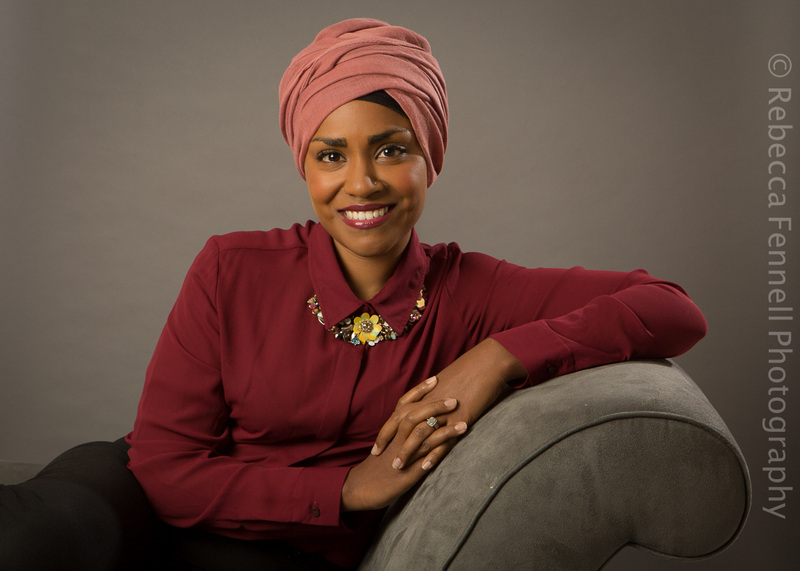 They were launching their wonderful afternoon teas and I was asked to photograph Nadiya, as she taught the chefs how to make her signature cake. Whilst the chefs were prepping, we got chatting about food, my background as a chef and the challenges we shared juggling careers with motherhood. I found her very easy to get along with and thoroughly enjoyed working with her. 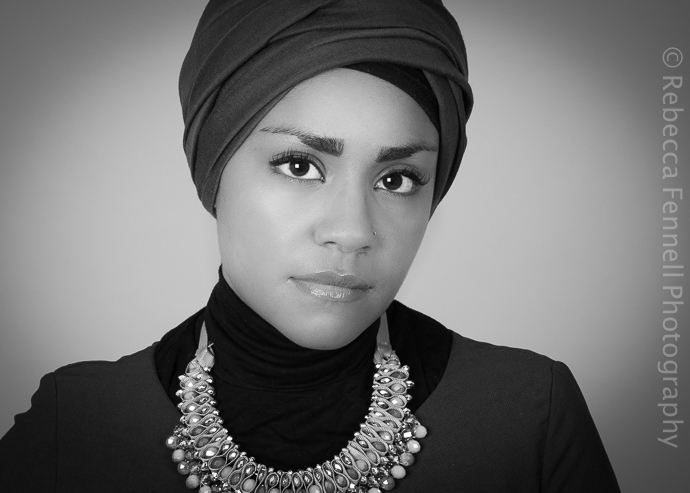 So when she contacted me via Twitter, asking for a portrait session for the release of her fist novel, The Secret Lives of the Amir Sisters, I was delighted! Admittedly, I was a bit nervous, having those anxiety dreams the night before, where I would leave my camera behind; you know the ones! But nerves are a natural and healthy emotion and kept under control, they can be a good thing. 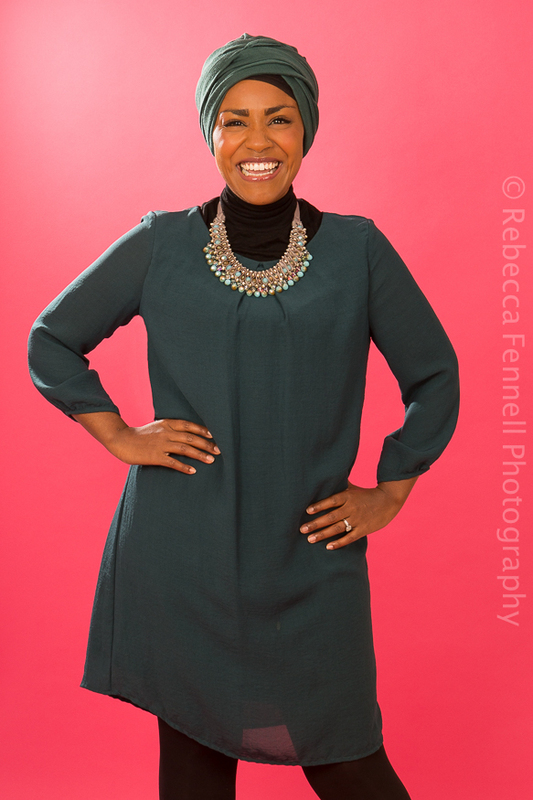 I prepped thoroughly for the shoot and with the support of my good friend, colleague and studio owner, Zoe Hopkins of Zoe C Photography, along with her gorgeous assistant Ami, I was good to go. 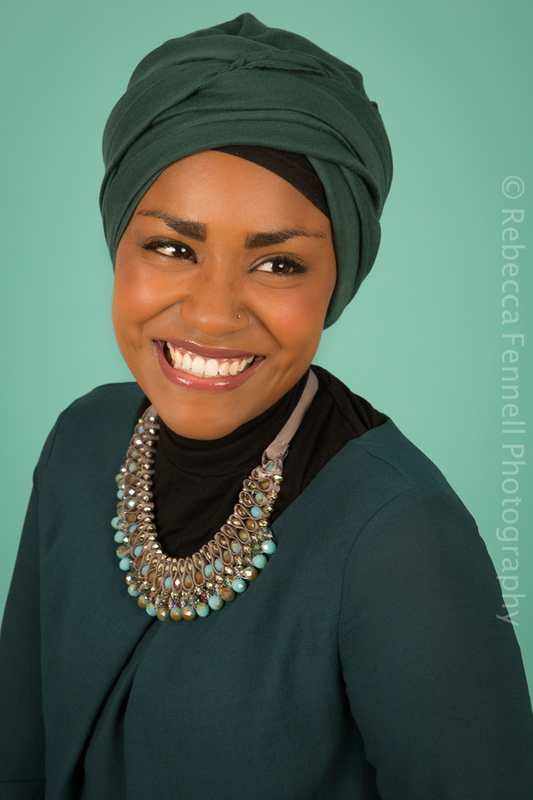 I was thrilled when Nadiya requested the different colour backgrounds, as I am a big fan of bright colours, but don’t get to use them too often in portrait shoots. She looked stunning; that infectious smile of hers made me smile behind the camera and it was a pleasure to capture. 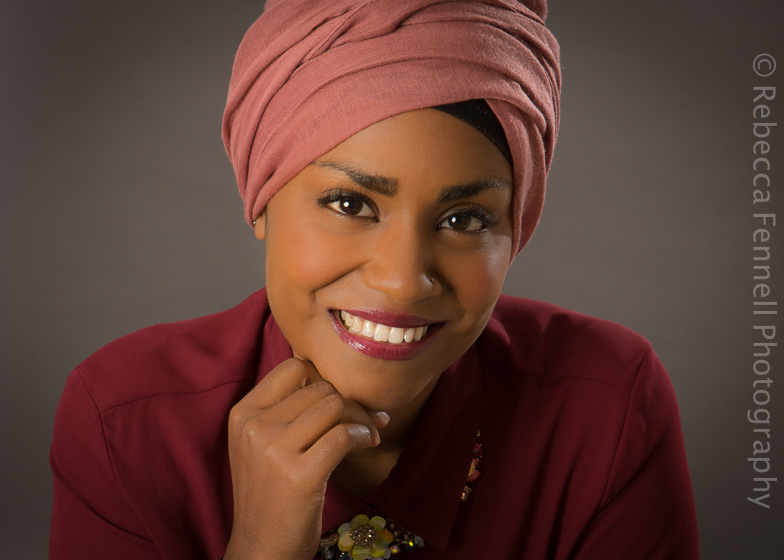 It’s my job to guide people on how to pose and reassure them of their great qualities (we all have them), but with Nadiya, it came naturally. I’d be ready to direct her pose and before I knew it, she was perfectly in position and I’d say “hold it right there, do not move a muscle!” As we chatted, she shared that prior to fame, she had very few pictures of her and her family, because she disliked being photographed; hard to believe, as she was a natural. I certainly hope that I speak for both of us, when I say how enjoyable the shoot was. 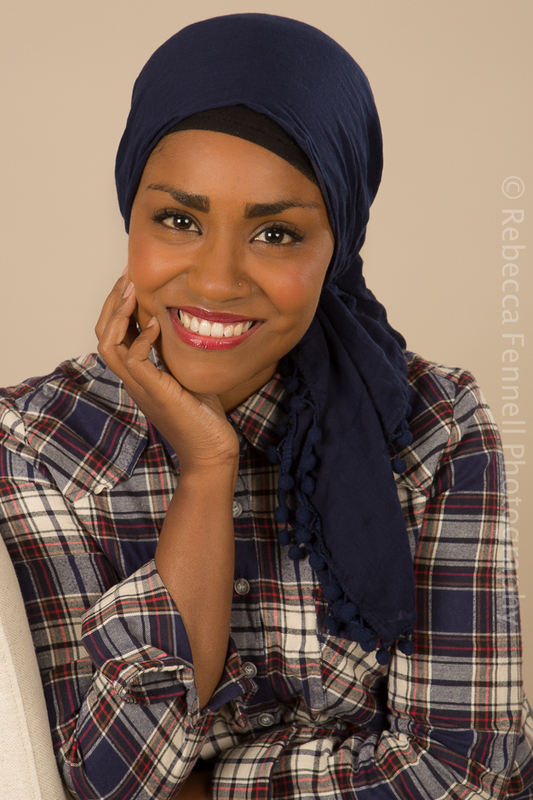 I have chosen a selection of images to showcase the shoot, which have appeared in national newspapers and magazines, including the Good Food magazine, as well as on the front and back covers of the book itself. 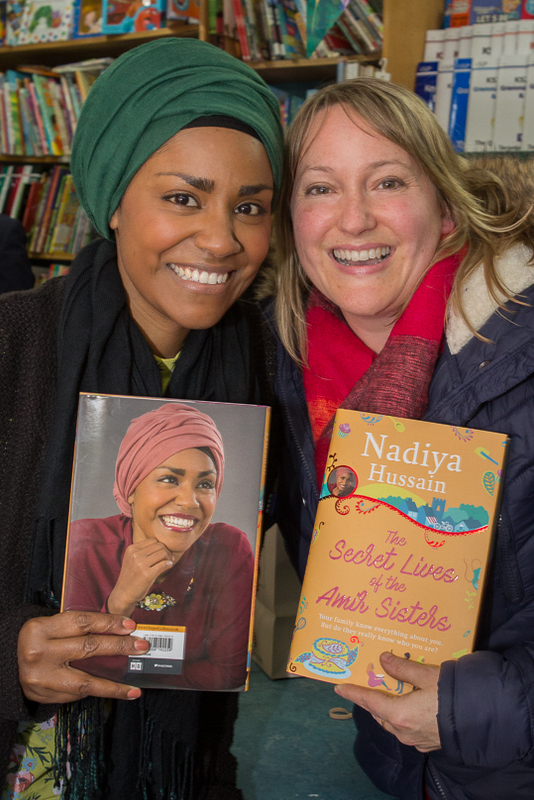 I attended the London launch of her book in January and of course, I had to share the picture above, although I’m slowly realising that it’s difficult to look good next to a celebrity! For those of you wondering her first novel is a great read and you won’t be disappointed.